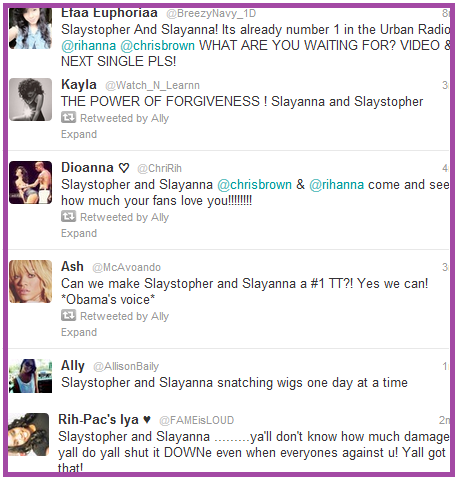 KayKiSpeaks.com: #TeamBreezy & #RihannaNavi Become a Unified Front to Celebrate Birthday Cake's #1 Spot! #TeamBreezy & #RihannaNavi Become a Unified Front to Celebrate Birthday Cake's #1 Spot! I told you all yesterday about sub group of fans from Rihanna & Chris Browns camp known as Chrianna. 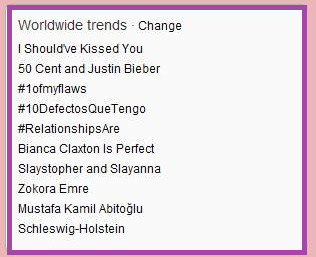 These are very passionate fans who support the two artists as a whole and separately. The website which is quite amazing I might add, gives fans an outlet for creative stories, and some of the realest photoshopped pictures you've ever seen. Fans also get to submit questions to the admins of the site who Chris & Rihanna both follow to get their opinions or learn facts about Chris and Rih. It's a very well thought out function these fans have going on here. They hoped Rihanna would wish Chris a happy birthday in some way & the site lit up when she sent the birthday tweet, they post old videos and photos of the two, and voice their concerns as fans. Well, one of the questions/concerns that repeatedly appear on the site is whether they can get Chris & Rih's recent collaborations to number one. Doesnt sound like a difficult plight for collaborations from two of the biggest artists around, unless those two are Chris & Rihanna. Due to the incident we are all aware of, these two have been rumored to almost be banned from each other's lives. When they decided to come together to record Birthday Cake & Turn Up the Music Remix, they did so for their fans and against all odds. Odds like no promotion or support from their labels/teams. With that said the Chrianna fan base had to take action. So..they did, Ive watched over the last couple of days how they went so hard on the requests and today they woke up to victory. Rihanna's Birthday Cake ft. Chris Brown was #1 on the urban charts!! They had accomplished one goal and before you could say cake..whipped out another. Chris & Rihanna have some amazing fans really. They are funny, and very passionate about these two- not just their relationship working (as Ive learned some dont really even want per se) but their health and happiness.